With Crystal Mapping all goals and relevant information can be observed in one radiant dashboard. Crystal Mapping is an easy way to plan, organize, track, and deliver results and is well suited for business, project team and individual use. To get started you need to download the Crystal Mapping trial version by using the link here. Once you have made your map you can save it online and come back to it at anytime within the free trial period. If you like the benefits that Crystal Mapping provides after your trial has ended you can sign up for a full Premium membership which lets you download the desktop and get access to various other resources to help you with your maps. Solution Purpose: Crystal Mapping aims to help you successfully achieve any project, business, career, personal or life goal through identifying key actions, having a plan to achieve them and tracking progress. Crystal Mapping will help you put together project and personal development plans using a diagramming approach to visually help you establish your individual and team development needs, set appropriate goals and actions and track progress. Crystal Maps help you to identify, communicate and manage your project goals, develop your people and teams and achieve your individual, project and business aims. 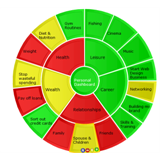 Personal Development Maps — Create specific maps for individuals noting the key aspects they need to focus on to achieve goals and ambitions in their professional and personal life. 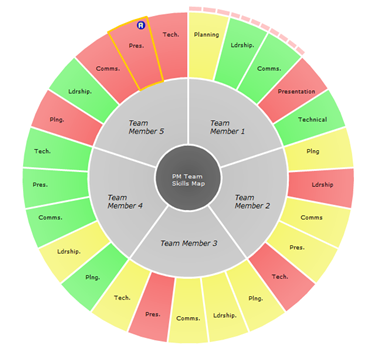 Team Development Maps — Use Crystal Mapping to establish the key areas of skill and training your overall team needs to focus on in order to become a first class and highly effective team. Team Goal Maps — Use Crystal Mapping to establish the key goals your team needs to achieve in order to deliver a successful project or outcome. Benefits: Personal Development maps provide critical help to any project, career growth and team building program by helping you to develop highly skilled and successful teams and also to deliver wider benefit in terms of attracting and retaining the best people to your business, department, project team. Personal Development maps help keep your team motivated, focussed and continually learning and improving. Intended For: It is intended for managers, team leaders and team members in all business sectors. Use Crystal Mapping to establish the key areas of skill and training each of your team needs to focus on in order to become a first class and highly effective team player. Use Crystal Mapping to establish the key areas of skill and training your overall team needs to focus on in order to become a first class and highly effective team. Use Crystal Mapping to establish the key goals your team needs to focus on in order to deliver a successful project. With the addition of Crystal Mapping, ConceptDraw now provides users with the ability to set goals and manage personal development. In business a major aspect of any project is the ability to establish clear goals, assess skills needed in the team to achieve goals and track progress towards delivery. The new radiant dashboard techniques used in Crystal Mapping help users to do this efficiently and effectively. Maps can be made at the team level and at the individual level to show the bigger picture and the personal detail and can be applied to projects or used solely for establishing personal goals and aims. Combining ConceptDraw Project with Crystal Mapping provides an end to end solution for all your projects; from setting goals, through managing the project to monitoring performance. Crystal Mapping combines a new way of visualising information with a powerful new process: Think it, Map it, See it, Do it. The first step in any project journey or individual goal setting process is to think about the outcomes you want to achieve. Without a clear view of what success looks like, it is unlikely your goals will be attained. One of the problems project leaders and professionals constantly face is with all the different methods and techniques of project management, goal setting and personal development is to decide what is relevant and how to bring it all together in a way that suits the project and the people involved. Include “key learning” you might have gained from many sources; seminars, books etc. Visualisation is the key to success for most successful people and project teams. It is important to visualise our goals, quite literally, as seeing the bigger picture helps us to contextualise information and tasks and helps us to focus on what is important. Additionally providing ourselves with physical, visual anchors and reminders keeps our goals and objectives in front of mind. Maintaining visibility of goals is essential to achieving them. There is now nothing to stop you getting to work, you’ve thought it through and planned it, you’ve mapped it out step by step and you can see what’s needed to be done....now. Crystal Mapping is delivered as both a cloud and a desktop solution to maximise your ability to use it and give you the flexibility you need in today’s multi platform environment. Used in conjunction with ConceptDraw Office 2, Crystal Mapping helps you to manage the individual skills and personal development goals essential to the success of any project. Combined with ConceptDraw PROJECT a full-featured project management solution that keeps you on top of your data and metrics through project dashboards, Crystal Mapping keeps you on top of team goals, skills training and personal development needs through dashboards and colour coded performance tracking. 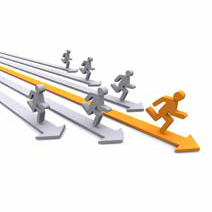 All projects stand or fall due the skills, strengths and weaknesses of the team and the leader delivering it. The first step is to have clearly defined goals for the project and to make sure they are clear to everyone in the team and to stakeholders. Crystal Mapping enables you to set the vision or the “bigger picture” goals at the centre of your map and then to display your sub goals for each contributing element. 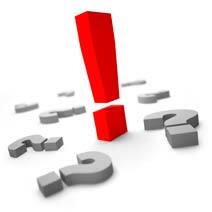 These might be Financial and Quality based with key goals in terms of critical outcomes and deadlines. 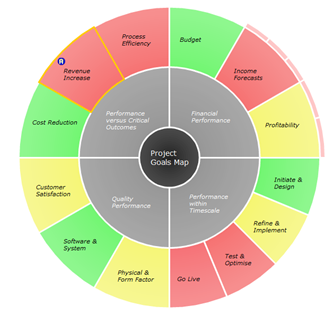 A crystal map such as above would allow you to show the main goals and their detailed sub goals which are all needed to deliver the overall vision or purpose of the project. Having your goals displayed and manageable within a Crystal Map radiant dashboard improves team unity (as everyone can see how their part of the project contributes to the greater good), enables progress to be presented simply and efficiently and communication to be crystal clear. At the same time it enables you to set skills goals for each of your team members so that they are fully trained in the areas needed to make your project a success. Most projects need people to have the right mix and level of skills in terms of Planning, Leadership, Communication and Presentation together with the required Technical skills specific to the project. Using crystal mapping you can create a map as above for each team member to make sure they have training and learning plans in place to give them the abilities they need in each of these areas. It is a simple matter of colour coding progress to show where the attention is needed. 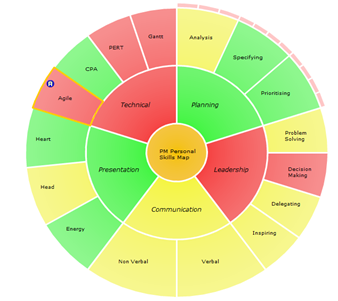 Alternatively you can develop a team development crystal map as above showing the skills areas needed to focus on for each team member. The power of these maps is that they are crystal clear in terms of communicating and displaying information, they are easy to build, maintain and update with many detailed features to help in the process and easy to publish and share remotely via the web. However one of the most important attributes is that they engage the eye as well as the brain and in doing so capture people’s attention and make a lasting impact. Crystal Maps are elegant as well as functional and your team will enjoy engaging with them. Used with ConceptDraw Office 2, Crystal Mapping adds a vital solution to your project management armoury. Crystal Mapping was founded in 2003 by Mark Wogan RSA to provide visual information systems and software services to organisations to assist in developing and communicating vision, goals and objectives. Mark set up the business after using the ideas and techniques in a previous business where communicating the strategy and goals of the organisation to geographically dispersed teams was essential to the overall success of that company. Always a visual thinker, Mark came up with the idea of circular maps to set business goals and then to radiate these goals to every team and individual so everyone could see the business ‘bigger picture’ vision and what they had to do to achieve it. Crystal Maps use a circular radiating structure as the circle is universally recognised as the symbol of unity and completeness and, as such, maximises the associative team building benefits of information being communicated via a holistic representation. Crystal Mapping have continued to develop CM through different stages and now deliver the programme as a web based cloud application with a fully synchronisable desktop option. Crystal Mapping clients have included many large organisations such, The Royal Mail, UK Post Office, Kodak, The NHS and Britvic plc, and has thousands of individual customers across the world.